Chances are you’ve seen those beer commercials with a group of athletes throwing back some brews after a tough training session. Or maybe you’ve signed up for one of those endurance races that reward you with a beer the moment you cross the finish line. 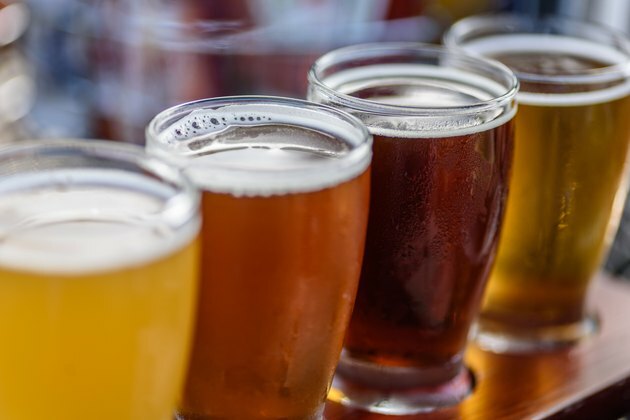 Either way, you’ve no doubt noticed that, for some people, beer has become more than just a go-to for their Super Bowl party — it’s become a post-workout ritual. Proponents argue that beer provides carbs and electrolytes, both of which tend to get depleted during long or intense exercise sessions. 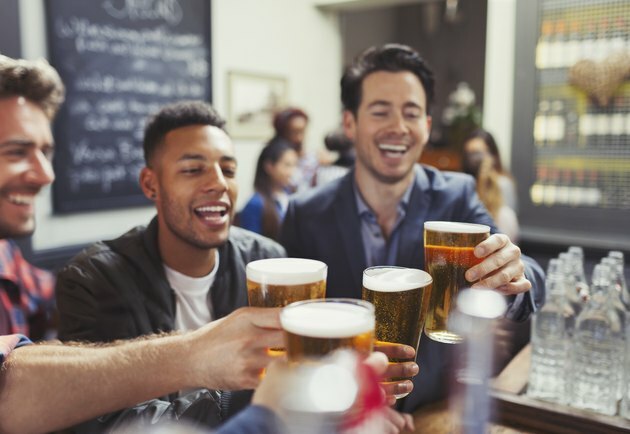 Others argue that the social aspect of hitting the bar with friends for a celebratory beer after a grueling run or workout may be a great way to encourage regular exercise. So drinking a post-workout beer is kind of like getting social and nutritional benefits in one bottle, right? “Having a beer after a workout is not hugely detrimental as long as it’s with water and food, but it is absolutely not positive or beneficial,” says Hana Abdulaziz Feeney, R.D., founder of Nourishing Results, a functional nutrition private practice in Tucson, Arizona. Abdulaziz Feeney attributes the idea of beer as a recovery tool to the power of marketing: “These beer commercials have incredibly fit athletes enjoying a beer after a hard bike ride, but it’s a myth.” As she notes, high-level athletes likely aren’t turning to beer for a recovery drink, and yet many buy into that idea, even though beer actually offers zero nutritional value to the regular exerciser. Yes, it’s true that beer provides some electrolytes (these regulate your fluid balance and play a role in muscle contraction), carbs (the main energy source that gets depleted during higher-intensity exercise) and even polyphenols (anti-inflammatory and antioxidative compounds found in plants). However, your favorite brew mostly contains the electrolyte potassium, and you don’t typically lose much of that during exercise, says Susan Kitchen, a board-certified specialist in sports dietetics and an eight-time full Ironman finisher. Instead, you want something that will replace sodium chloride, the main electrolyte you lose through sweat — and beer won't provide it. As far as carbs? Well, they’re there, but they’re coming at a pretty steep price, Abdulaziz Feeney says. The reason: Your body has to use a lot of nutrients — B vitamins in particular — to metabolize the alcohol, which puts extra strain on your liver and diverts resources from the rest of your body. What’s more, alcohol is dehydrating, which is the opposite of what you want immediately following a workout, says registered dietitian Cassie Bjork. Dehydration will only make it harder for you to recover from your training session, leading to a longer recovery time and fewer fitness gains. See, the workouts themselves don’t make you fitter, it’s how well you adapt and recover from that workout that leads to progress, Kitchen says. When your muscles are already dehydrated after your workout, drinking alcohol will only dehydrate them even more, ultimately preventing those muscles from rebounding and repairing the way you need them to in order to see fitness gains. In fact, a 2014 study in the journal Plos One found that consuming alcohol reduced muscle protein synthesis (the process of repairing and building new muscle cells after exercise) by 24 to 37 percent following resistance training, steady-state cardio and high-intensity exercise, even when paired with protein and carbs. However, it’s worth noting that this study involved higher amounts of alcohol to replicate amounts athletes report while binge drinking. So if you want to reap the most benefits from your exercise program, chugging a post-workout beer (or two) may not be the best idea. Can You Ever Have a Post-Workout Beer? That said, no need to always skip the post-workout beer. (Where’s the fun in that?) As long as you only drink occasionally (i.e., don’t go out with your running group three nights a week), practice moderation and understand that you’re drinking to indulge — as opposed to drinking as a recovery strategy — you should be fine. “Chug a few glasses of water alongside your brew and it’s not the worst thing,” Bjork says. Most of the time you’ll want to focus on refueling with carbs and protein from nonalcoholic sources. Unless you’re doing high-intensity or exhaustive exercise (i.e., you finish your workout feeling like you have nothing left in the tank), your best bet will be to sandwich your workout between regular meals or snacks, as opposed to adding on a special post-workout recovery snack, says Abdulaziz Feeney. On the other hand, if you’re doing high-intensity or exhaustive exercise, then you may need to eat a small carb-and-protein-rich snack right away to help jump-start your recovery and tide you over until you can get in a full meal. Great options that are portable and easy to digest after a tough workout include a yogurt with a banana, a single-serving bottle of a protein drink or a scrambled egg wrapped in a tortilla.